We love honeymoons, obvs; it’s in our name. 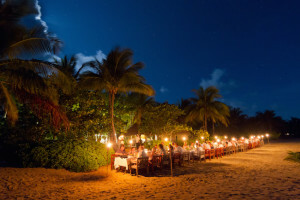 But we also love destination weddings — helping clients with everything from choosing the right resort to connecting with the perfect planner for their taste and budget. We wrap it up by negotiating room rates and extras, and then manage the guest travel from start to finish, keeping the experience as stress-free as possible for the to-be-weds. 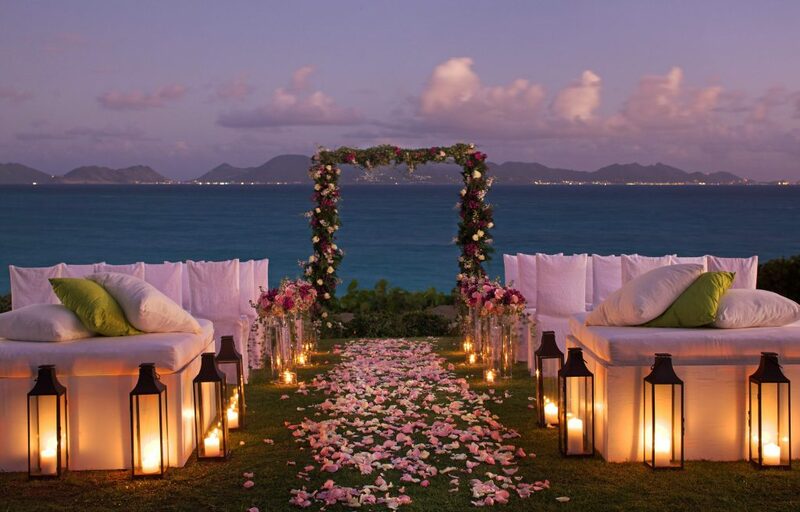 An educated couple is a happy couple, so Susan was happy to share her 10 favorite tips for planning a Caribbean wedding with USA TODAY Travel — and brought in two of the country’s best destination wedding planners, Michelle Rago of Michelle Rago Destinations and Ali Phillips of Engaging Events by Ali, for extra advice. Check it out here. Tip number 3 is start planning early. This is especially key if you want to celebrate at a chic, small resort, or better yet do a hotel buyout where you have the whole place to yourselves. And who says it has to be a wedding? 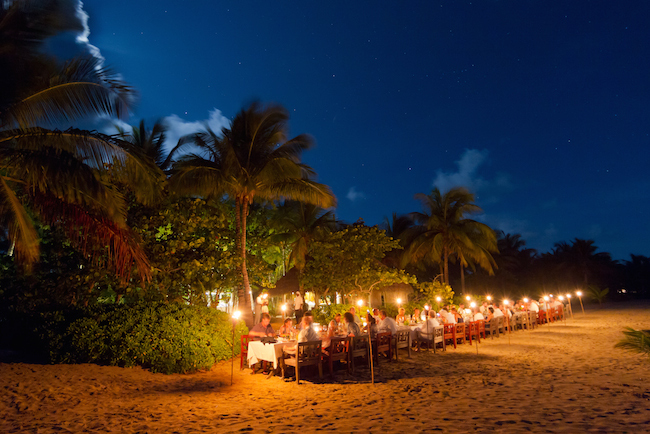 It could be weekend-long gathering of friends sharing an epic beach dinner, like this one at private island Kamalame Cay in the Bahamas. Want to start planning your own destination wedding or special occasion trip? Let us know, we’d love to help!